What is the FCE- Functional Capacity Evaluation? A functional capacity evaluation (FCE) is testing done by a physical therapist. It usually involves a series of physical tests performed at the request of the physical therapist. The process can take from a few hours to more than 6 hours over 2 days. The length of the FCE will depend upon who the physical therapist is and what type of FCE they will be performing. There are several different FCE systems which are designed to determine what you should and should not do given your physical issues. These systems include the XRTS "Cross Reference Testing System" used by E3 Therapy Services, the Workwell system used by Work Systems Rehabilitation and other systems used by Accelerated Rehab and other physical therapists in Iowa. Why are They Ordering an FCE? An FCE is usually ordered because your doctors think your medical condition is not likely to improve and they want to test your ability to lift, carry, etc. for work. Remember that this is just the doctor's opinion and there may be other care that can help you. Under Iowa law, once their doctor gives you an impairment rating you have a right to a second opinion that the insurance company is required to pay for under Iowa Code section 85.39. Our workers' compensation book which we offer at no cost explains in detail the do's and don'ts involved with selecting a second opinion doctor in your case. What Can I Expect at the FCE? 1. Giving Your Best, “Full Effort”- You should try hard and give a full and honest effort in the tests without injuring yourself. There are a number of tests built into the evaluation that will determine if you are giving full effort. 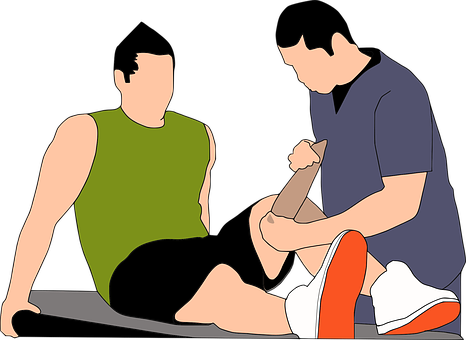 Therefore, even if the therapist tests an area of your body that was not injured, you still need to give full effort. One of the keys to the FCE test is that as long as someone comes in and gives their very best effort during the test, then it should result in a valid test. 2. Restrictions- if you are currently under restrictions given by one or more doctors I would recommend that you bring your written restrictions with you to the FCE and show the therapist these prior to the evaluation. 3. Medications- I would recommend that you do not take your pain medications in the morning on the day of the examination, unless you know that your employer will allow you to take the pain medications while working. 4. The therapist is not your friend and you need to be careful about what you say. It is not the time to make “wise-cracks”; say negative things about the insurance company, your employer, the defense attorney, your doctors or anyone else for that matter; or exaggerate your symptoms. For example, if you tell the therapist that you can only sit for five minutes at a time, then you better be standing up every five minutes or they will record this as being inconsistent with what you said. The therapist will write down in his/her report what you tell them so be honest and stay with the facts. 5. You need to make sure that you fully understand the therapist’s instructions as to when you should stop an activity before performing the test. For example, if the therapist tells you to continue the exercise until the pain increases to the point where it is uncomfortable, ask the therapist to define that for you. Does it mean that you would be uncomfortable doing it every day at work or that it causes you increased pain? Make sure that you understand when the therapist wants you to stop. An FCE is a very important part of your workers' compensation case and can significantly impact if you are able to go back to your job, how much compensation you receive, etc. The above represents just some of the tips we provide to our clients along with a detailed client consultation so our clients are fully prepared and know what to expect at the FCE. If you have specific questions about your FCE or need other assistance, contact us online or call 641-792-3595 to schedule a consultation.